A pair of old friends have found the largest flint axes in Danish history in a drained bog area near Tastum Lake just south of Skive in Jutland. Archaeologists at nearby Viborg Museum theorise that the axes were placed in the bog as part of a ritual sacrifice sometime during the early Stone Age around 3800-3500 BC. 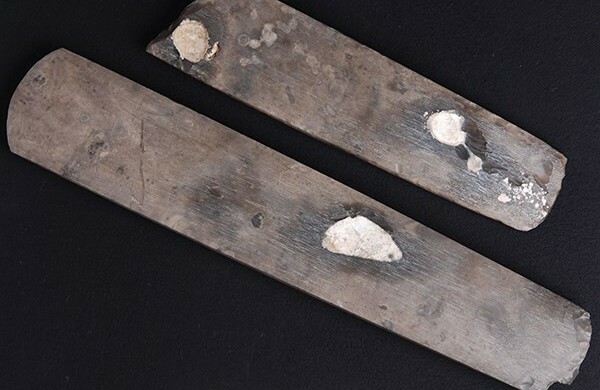 “It’s fascinating that they could master the flint and produce such a perfect axe,” said Mikkel Kieldsen, an archaeologist and curator at Viborg Museum. One of the axes, where are being exhibited at Viborg Museum for the next three weeks, measures a Danish-record 50.5 centimetres. The axes are considered a national treasure and will be sent to the National Museum of Denmark next month.